How do I convert my recipes in bulk to Tasty Recipes? Learn the quick process to convert your recipes over to Tasty Recipes in bulk. 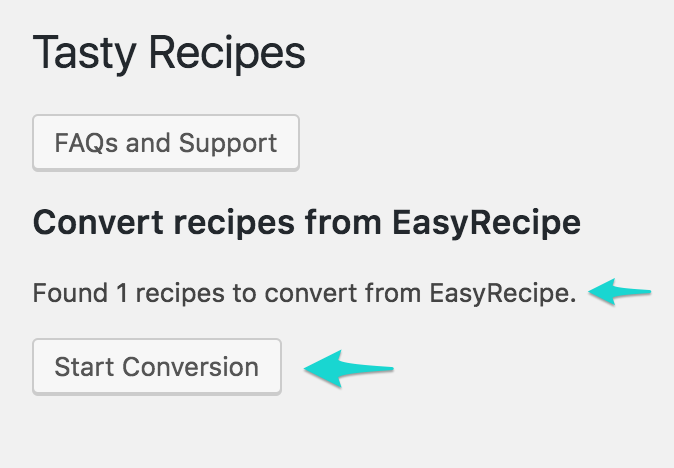 Before converting all your recipes in bulk, we recommend converting a few individually to test the conversion on your site. Once you are happy with the conversion, proceed with the following steps to convert all your recipes in bulk. Back up your WordPress database. The conversion process will make changes to your posts ,and if anything goes wrong you want to be able to restore to a previous version of your site. For help backing up your database, contact your host. 4. 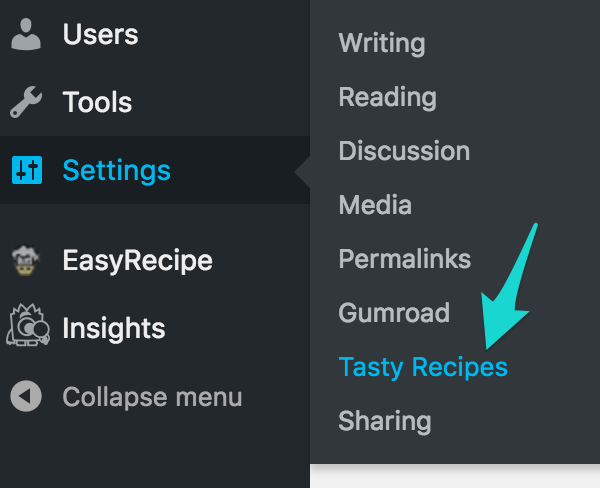 Wait until Tasty Recipes finds your recipes from your other plugin. 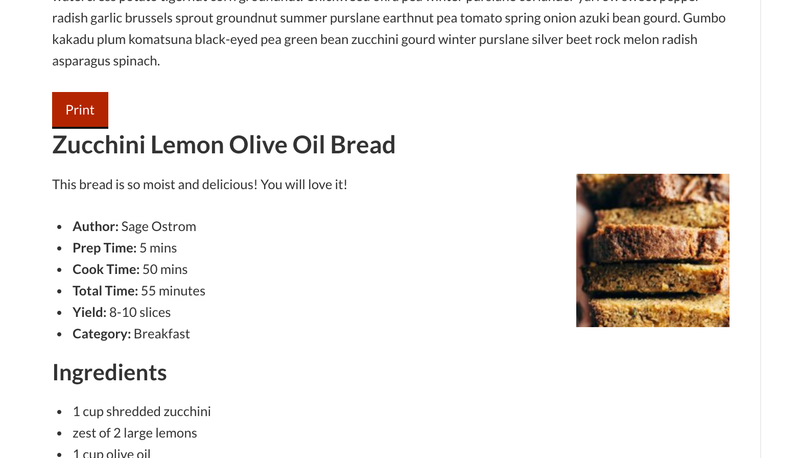 It will come up with a count of these recipes it finds on your site. Here we have just one EasyRecipe on our site. Click Start Conversion. Important: Do not close the window while Tasty Recipes is converting your recipes. This may take a few minutes depending on the number of recipes you are converting. 5. Once completed, Tasty Recipes will let you know that you can close the window. 6. Navigate to some of your previous recipes to make sure the conversion worked.